The engine is the nerve center of your car. It is the most important part of the car that you need to pay the most attention to. It should be cleaned and well maintained at any given time. Those who have perfected the art of maintaining their engines have some sense of pride whenever you watch them step out of their rides. Do not wait any longer; you could be the next in line. The car engine can only perform at its best if it is well lubricated and at the same time capable of running smoothly. And by now you should have been aware of the engine’s high affinity for particles and dirt whenever combustion is taking place. What is The Most Appropriate Time to Buy an Oil Filter? These two unwanted materials if not properly addressed can even damage your new acquisition. To avoid getting to that direction, you need to have the best oil filter for synthetic oil as they are the most ideal for screening out all particles and dirt from getting into the car’s most delicate engine components. Being very important tools in the protection of your car’s engine, you can’t just trust any oil filter you come across. You, therefore, have to go for the best. Getting the perfect oil filter for a car is not that simple. This is attributed to the fact that the market has been flooded with different kinds of filters which the manufacturers have labeled on their own as the best. You are right in time as this article will answer all the questions pertaining to oil filters meant for synthetic oil. An oil filter consists of mechanical components such as a filter medium, tapping plate, retainer, pleats, and center steel tube among others. All these are just mechanical components that have been interconnected to help in the protection of the engine from dirt and other harmful materials. It is just a rectangular but long synthetic element that has been folded into several pleats to produce the oil filter. Both ends of this pleated element have been sealed together before a filter is placed around a metal tube that has been perforated but is inside a can. The perforated metal tube is what supports the filter while at the same time allows for free flow of oil out of it. There is an attachment that is also sealed on the filter top which directs oil in and out of the filter. Oil usually flows out of your car’s oil pump and straight into the oil filter from where it flows to the element’s exterior side and through to the synthetic on the interior side. From there, the oil exits through the filter attachment plate in the middle. The oil filter should fit tightly without any leaks. There are also other filters that come already equipped with bypass valves that ensure oil flow even if the filter is clogged. In most instances, it is always advisable that you use the original oil filter that came with the vehicle. But if you are aiming at improving the performance of your car, then you can buy a high-quality oil filter. For the synthetic oil filter to perform optimally, you have to use fully synthetic and premium oil. Synthetic oils last longer than the conventional oils which means that you have to look for a filter that will also last that long. You can even cover up to 15,000 miles with a single oil filter. You will have protected your engine from possible damage all this time. 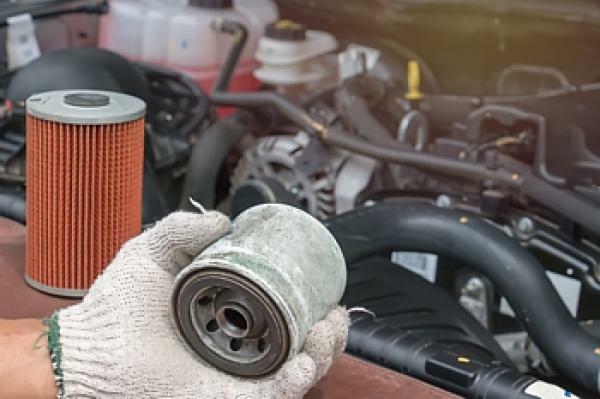 But if your vehicle is meant for specific uses like trucking, off-road driving and auto-racing then you will be required to change the filter a little often. Before laying your hands on any synthetic oil filter, there are things that you need to take note of. These are the properties that will differentiate the best products from the junks. These are what we want to look at in this section. The size of the synthetic oil filter is one important thing that you need to look at prior to making the order. Why should you spend money on a filter that won’t fit in your car’s engine? That will be a total waste of money and time. Most people do make this mistake. It is very common with the online shopping where you end up picking a wrong filter size just because it has so many positive reviews. But whenever you are buying from a store, you can have a mechanic check for you the size so that you get something that will fit. A loosely fitting oil filter will be disastrous to your engine. This is a very expensive mistake that you should never get into. Quality of a synthetic oil filter is not something that you will find indicated on the filter or its manual. And in any case you find any writing that touches on quality, know that it has been specifically done to persuade you into buying that product. To ascertain that the filter is of great quality, just check its design and probable durability of the materials from which it has been made. Is it sturdy enough?Besides, how about its efficiency when it comes to cleaning of the oil? And there is no shortcut to quality. Anything below the minimum recommended standards will cost you much in the long run. Never compromise quality for anything else. Do you know the type of engine that your vehicle has? This should be another important area to consider. Most of the oil filters have been designed with specific engines in mind. What this means is that the oil filter can perform and work at its best when used in the engine which it was meant for. Equip yourself with sufficient knowledge regarding what your engine needs and strictly provide that for the best performance ever. How efficient is the filter when it comes to the removal of foreign materials? This is the main reason you are investing in a quality oil filter for synthetic oil. So the efficiency should be very high. What you need for your engine should be the driving factor to the oil filter with the best capture efficiency. 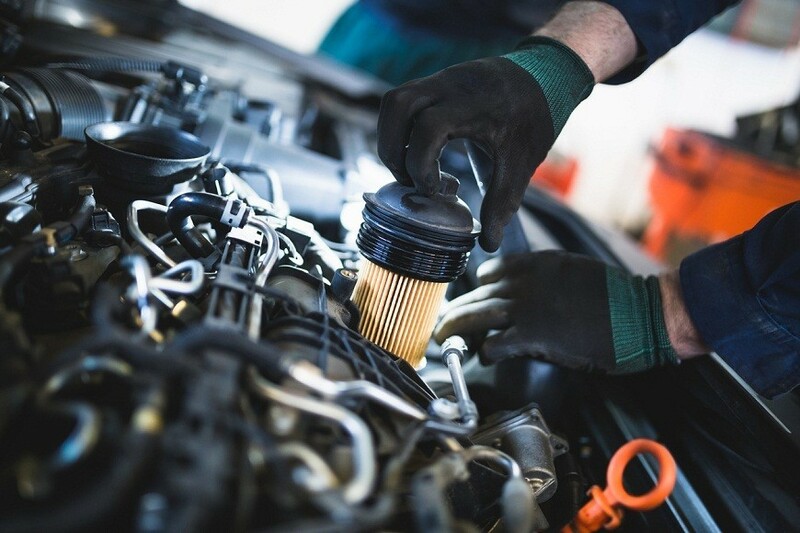 The oil filters, just like any other vehicle accessories, are at times subjected to poor workmanship and can be sold with defects without the knowledge of the manufacturer. It is important that you check for the duration that the warranty covers so that in case of any manufacturing-related problems, you can take the product back for replacement or repair. A good number of oil filters are currently available in the online and offline markets. As you have noticed, there are significant variations in the prices of these commodities. So you have to plan in advance on what amount you need to spend on an oil filter. The capacity refers to the oil filter’s ability to store contaminants that pass through the oil. This capacity is majorly determined by the type and build of the filter. An oil filter with a larger capacity can allow you cover longer mileages without changing it. If the capacity is reached while you are still driving then unfiltered oil will be allowed to pass through. This is very dangerous for your car. A good filter should have a capacity of not less than 10 grams. But if you change your filter as regularly as possible, you won’t have any problems with the capacity. A well-built oil filter should be made of center tube and metal end caps. Anything made of cardboard and plastic won’t last and should be avoided at all costs. An ideal synthetic oil filter should be designed with a bypass valve which is usually activated whenever the filter’s capacity has been exceeded. Your engine should never fall in short of oil at any time. The bypass valve will allow unfiltered oil to continue flowing so that you don’t get stuck in the middle of nowhere. The bypass valve should be made from metal spring or stamped steel which are usually long-lasting compared to the plastic-constructed types. If the oil filter has a wire backing, you can go for it as well. This wire often helps keep the filter in position. 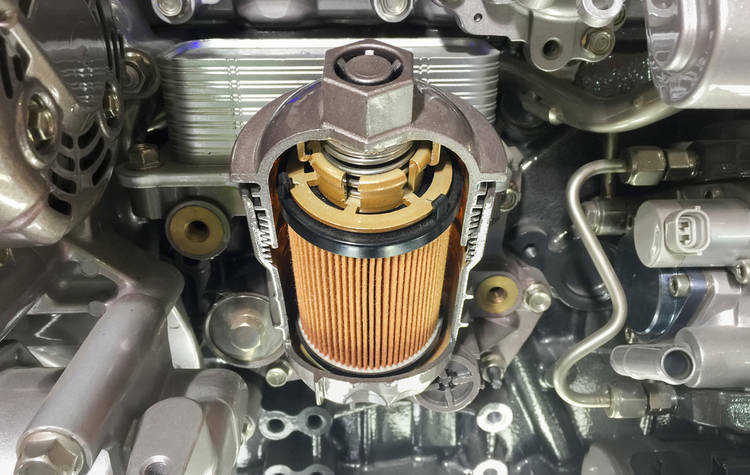 Having looked at what an ideal oil filter for synthetic oil should have, we should now have a look at the 5 very best products that you can purchase for such purposes. We have tried to significantly reduce the amount of time you could have spent doing the search in the market. 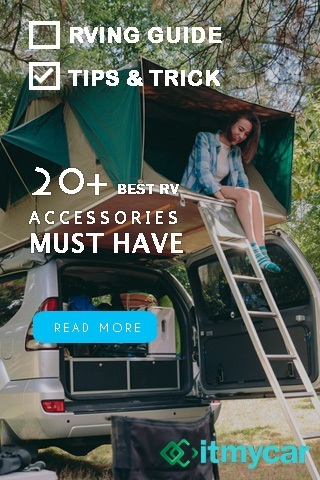 Have a look at the descriptions, features, pros, and cons to act as a guide when making decisions regarding what to buy. FRAM XG7317 oil filter for synthetic oil is a perfect accessory for everyday drivers who want to carry out routine maintenance every 3,000 to 5,000 miles. It is designed in a way that makes it highly efficient when it comes to dirt trapping as well as dirt-holding capacity. The synthetic filter media does an excellent job of protecting your engine. The fact that it is designed to operate with synthetic fibers makes it tougher by creating small windows that are capable of trapping even the microscopic foreign materials. All these are done without any effect on the oil flow. The FRAM oil filter has a cartridge containing compounds and detergents that help maintain viscosity, neutralize acids and reduces corrosive wear besides its ability to make the engine components cleaner. It holds and traps more than twice the dirt that ordinary oil filters can. This filter has been tested and also proved to last 20,000 miles. It has been specifically designed for use together with synthetic oil. Another good thing about this oil filter is its durability brought about by the metal screen. What’s more, this filter has been designed with anti-slip texture from the SureGrip technology that makes it much easier and quicker to change the oil filter once the capacity has been exceeded. Here is another great oil filter for synthetic oil from FRAM. Just like the other one, it is designed with a non-slip coating finish that ensures it is easy to grip and hence easy to install and remove. It is also designed with a precision coil spring as well as glass fiber which has been reinforced with nylon poppet relief valve. Its sealing gasket is internally lubricated to make it easier to remove. It is able to hold a larger capacity of trapped foreign materials compared to the ordinary oil filters which make a great pick. 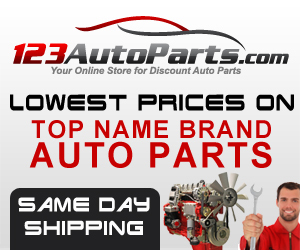 If you are out to improve your vehicle’s performance to the maximum, then you can consider purchasing this product. It contains some compounds and detergents that help maintain the viscosity of the oil, keep the engine components clean, neutralize acids and even reduce any possible corrosion that might occur. You will be amazed at how this filter can trap even the microscopic particles present in the oil. For the best results, follow the vehicle manufacturer’s manual for the change intervals. Nevertheless, this filter can serve you for close to 20,000 miles before being changed. The K&N KN-171B is a high performer that calls for a high rate of oil for better performance. 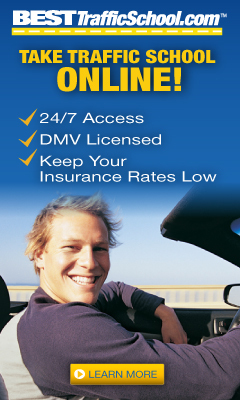 It works well on most SUV’s, trucks, ATV’s, cars and motorcycles. Its removal process during replacement is very easy due to the exposed nut design it possesses. It is able to withstand even the most adverse conditions due to its heavy-duty construction. The filter does not restrict the flow of engine oil in any way. In fact, if you are into racing, then this is the best oil filter you need to acquire. The nut has a hole through which you can have a safety wire inserted to help keep the filter in place whenever you hit a bump. It has a bypass valve which has been made using a spring metal together with an anti-drain back valve which ensures there is no backflow of oil when the engine is in an off state. You can’t compare this filter with those ordinary types made from cardboard or plastics in terms of performance and durability. What’s more, it weighs only 12.6 ounces and comes in a heavy-duty metal construction can. Bosch 3330 is designed to fit better, offer optimal performance while at the same time offering maximum protection for the engine better than the ordinary filters. By keeping away harmful substances and dirt, the engine will have been prevented from engine failure and premature wear. This product functions in a similar manner as the OE filters. It makes use of synthetic and natural materials, therefore, allowing improved engine protection and high oil filtration. It fits perfectly well just like the original filter that the vehicle is bought with. It has a capacity to hold up to a maximum of 14 grams of foreign materials. The synthetic media which has been well blended has high glass content as well to make the oil filter durable and highly efficient. What’s more, this oil filter has a larger filtration area beside its thicker media making it capable of screening out a good amount of dirt and foreign particles. Just like the other filters we have seen, this filter has a bypass valve and an anti-drain back valve that help keep oil in its deserved place during filter failure and cold starts. The Bosch 3330 filter, however, doesn’t have metal end caps which make it prone to failure under load or high pressure. This company has been in the market for a long time and can be relied upon when it comes to the production of synthetic oil filters. Mobil 1 M1-110 is another great consideration for a synthetic oil filter. At no point will you experience leaks due to its silicone anti-drain back valve. Being that it is made of synthetic fibers, know that it is durable and will ensure that only cleaner oil gets into your engine. Its capacity is a massive 28 grams which is way much higher than the capacities of most oil filters. It doesn’t allow for any kind of dry starts as there will always be sufficient oil to start the engine. It can also withstand high operating pressure. Its bypass valve made of metal gets activated when the filter gets clogged to ensure a continuous flow of oil into the engine. Mobil 1 filters are available in different sizes which ensure that almost 97% of vehicles have something to utilize. Your car’s engine is the most delicate part that you need to take great care of. One of those ways of having it maintained is by using an oil filter to remove all unnecessary particles that could cause clogging and in the end affect the performance of the engine. The best oil filter for synthetic oil is the Mobil 1 M1-110 Extended Performance Oil Filter which has a capacity way above the rest of the oil filters. It is also capable of withstanding up to 9 times the operating pressure of the system. Besides, it doesn’t permit any internal leaks, and the dry engine starts. This oil filter has been serving me diligently for the last few years since I bought a car. I have never encountered any disappointments using this oil filter, and the same could be true for you if you try it out. If you have never used this synthetic oil filter, now is the time to put it to a test and see the results for yourself. The other four brands that we discussed are equally good.